The partial government shutdown that started Dec. 22 became the longest in U.S. history Saturday, after surpassing the record set by a 21-day shutdown in 1995 and 1996. The shutdown affects roughly 800,000 federal employees, who missed their first paychecks Friday. A press release from the Senate Appropriations Committee estimated more than 420,000 essential federal employees would be expected to work without pay. This shutdown has now surpassed a previous one that began Dec. 16, 1995 and ended Jan. 6, 1996. The 21-day funding gap occurred when former President Bill Clinton refused to cut spending and former Republican House Speaker Newt Gingrich declined to raise the debt ceiling, according to USA Today. Clinton won out according to most accounts by submitting a seven-year balanced budget plan. Gingrich was ridiculed by the media when he said he had been willing to shut down the government twice in 1995 because he felt he had been disrespected during a trip on Air Force One. But the Trump administration does not hold the record for most days of shutdown in a 365-day period. That one belongs to former President Jimmy Carter’s administration. There were three shutdowns that added up to a total of 28 days in 1977, when Carter was president. There have been three partial government shutdowns under Trump so far: The ongoing one, a three-day shutdown in January 2018 and an overnight shutdown in February that did not result in any federal employees being furloughed. The partial government shutdown affects nine departments including Agriculture, Interior and Homeland Security. Now that many federal employees have missed a paycheck, concerns grow about how much longer this can last. Transportation Security Administration officials, for example, are worried about employees calling out sick en masse in a “sickout” after Friday. When will the shutdown end? 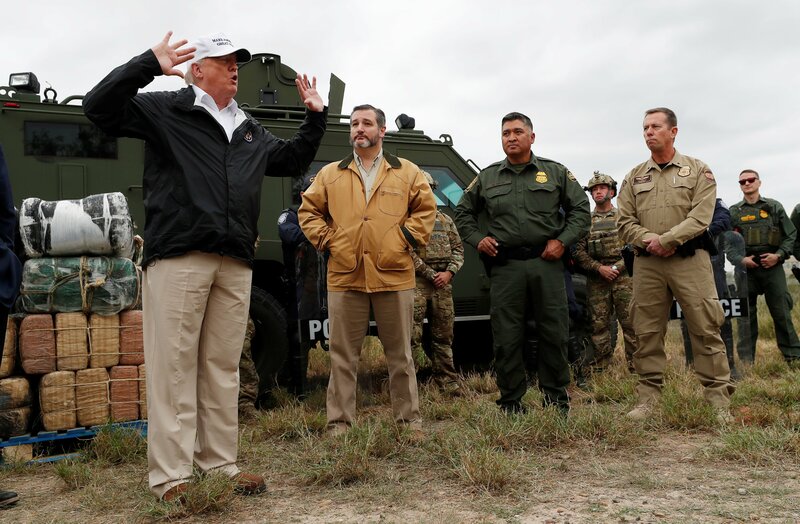 Trump has teased his ability to declare emergency powers to fund a border wall, but for now, his administration is still trying to work with congressional Democrats.